Three years ago, M. Night Shyamalan, the director of what is now dubbed the ‘Eastrail 177’ trilogy of films, drew the loudest gasp I had seen in quite some time from a collective audience inside a movie theatre. 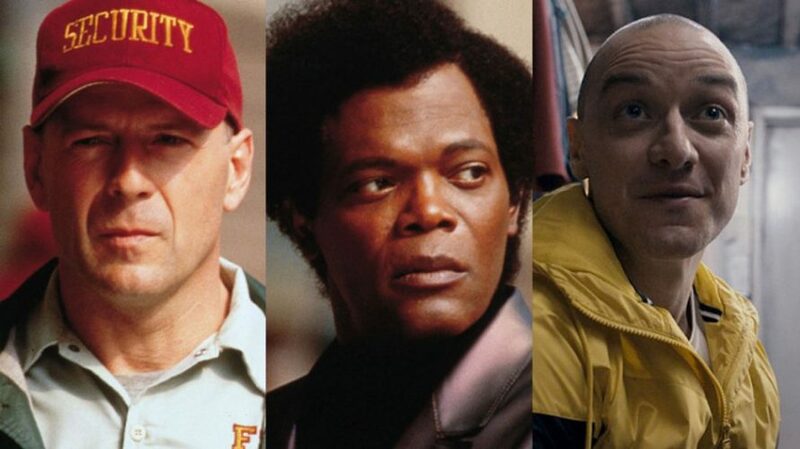 Beliefs were suspended, minds blown and anticipation soared when it was revealed that David Dunn and Elijah Price from ‘Unbreakable’, nineteen years ago, and Kevin Wendall Crumb were part of a shared universe of sorts that Shyamalan was trying to create, with the revelatory twist being presented in the most Shyamalan way possible. 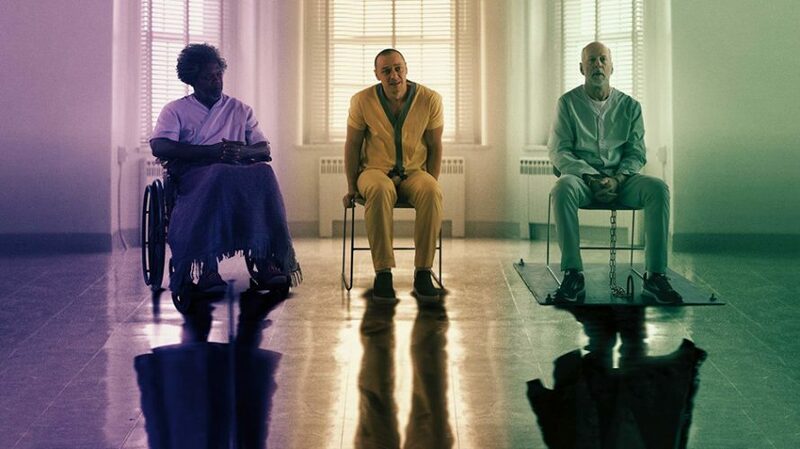 Three years later, the conclusion to the most unexpected trilogy of films, ‘Glass’, reuniting the three protagonists in a showdown scenario staged in a mental asylum has hit the screens and is already creating waves with its ending. If you are here, it is reasonable to assume that you have seen the trilogy, most importantly the conclusion, and won’t care for spoilers. Without further ado, let’s get to explaining the ending that threw relentless twist after twist, culminating what is easily the most psychological ‘superhero’ storyline conceived just shy of two decades ago. While scathing the internet for a definitive review myself to help me gather my thoughts, I came across one from a casual viewer who termed the conclusive showdown as the polarising filmmaker going “full Shyamalan mode” with the twists. The particular choice of words did crack me up, but successfully summed up in all its obscurity what I felt about the final act, something that even professional reviews failed to do. In my personal opinion, what started out as a careful deconstruction of the mind of an individual perhaps too disillusioned from reality, presenting some rare, darn interesting psychological finds in the process too, quickly unravelled into a finale until now only reserved for comic book films. 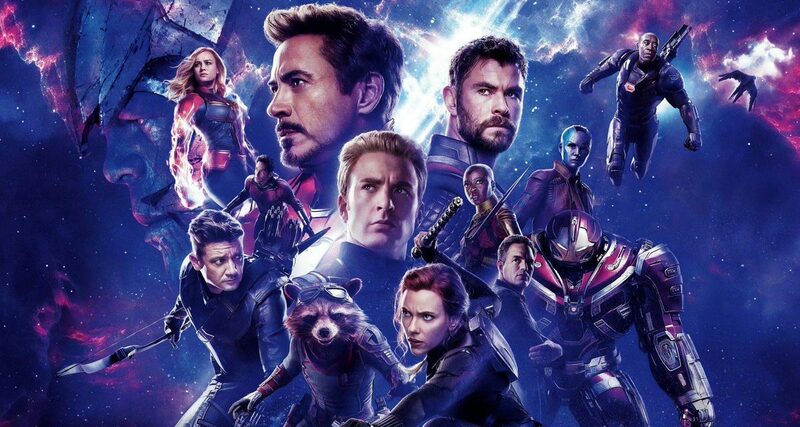 In that, it felt cluttered as an all-out battle between the hero, the villain and the orchestrator, albeit with none of the CGI mayhem and ‘whams’, crashes and explosions that make outings like such mildly exciting fare to see at the cinemas. Coupled with that, Shyamalan’s signature trick of pulling the rug from under you repeatedly until the end credits roll sees an all-out doling here, with as many as five major twists presented one after the other, the sheer quantum of revelations in itself threatening the impact of the next, some of them hitting the mark, while some unassumingly miss. The entire trilogy has a decidedly grounded approach to the superhero genre of films from the word go, and while the final act may in itself feel a bit underwhelming, considering the universe this is a part of plus the structuring of the entire presentation, it will leave you bemused, even if for a conclusive, cohesive verdict. I am hoping that the write-up ahead helps you form that. The final act of the film sees Mr. Glass, who has awakened from his self-imposed catatonic state to lead his mission of revealing super-human beings to the world to fruition, the very presence of his two ‘superpowered’ fellow inmates in the same institution where he is incarcerated delivering to him the chance he was on the lookout for all these years, orchestrating a “limited edition showdown” between Kevin Wendall Crumb’s malevolent 24th alter ego, ‘The Beast’, and David Dunn as the street vigilante with superhuman strength and heightened senses of intuition acquiring the moniker of ‘The Overseer’. Glass is easily the evil puppeteer in the entire scenario, nefariously pulling the strings to realise his childhood vision of comic books and their themes and revealing them to an oblivious world, revelling in himself as the kind of brilliant and evil arch-villain who fights the hero with his mind, an understated reference from ‘Unbreakable’. Initially crediting himself for the discovery and creation of Dunn’s alter ego by staging various acts of terrorism, he now designates himself as allowing Dunn to reach his full potential fighting his physical equal, the beast, as opposed to petty street criminals. As the two fight It out, turning and denting vehicles in the process and landing some heavy blows, Joseph Dunn, played by Spencer Treat Clark reprising his role from ‘Unbreakable’, intervenes to break the fight, revealing to Kevin (currently the beast) how Elijah was responsible for the train crash that killed his father all those years ago, in his bout to search for a superhuman being. Kevin eventually grew up in the custody his abusive mother, leading to the creation of his 22 other dissociative identities, and later, the beast too, making Mr. Glass responsible for the creation of not one, but both of the other superpowered beings in this universe. While the beast is grateful to him initially for aiding in his creation, he attacks him nonetheless for Kevin’s sake and the psychological torture he endured as a result of his actions, easily crushing many of his bones in the process, rendering him powerless. The fist fight between Dunn and the beast continues, with the latter throwing Dunn in the water storage tank designed for supplying water to Dunn’s containment room. Dunn barely escapes, while the beast makes a run for the Osaka Tower, due for an opening that day. He is confronted by Casey, who summons Kevin’s original personality by calling out his full name, allowing Kevin to briefly take the light, disabling the beast, and in the process his bullet immunity, superhuman strength and other physical attributes characteristic of his beast alter ego. As the two indulge in a soulful conversation, Kevin is shot in the abdomen by a sniper from the response team, revealed to have a clover tattooed on his hand. Two other S.W.A.T enforcers wielding the same tattoo from the team drown an already weakened David’s face in a large puddle nearby, repeatedly dunking his face in, killing him in the process. 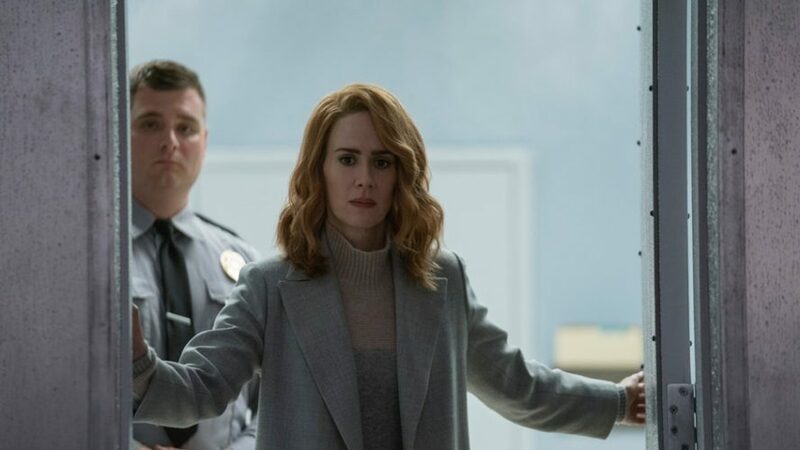 Dr. Ellie Staple, played by Sarah Paulson, and established as an antagonistic non believing presence earlier on in the film, asks a dying David to take her hand, allowing him to have a vision of her in a restaurant surrounded with people bearing the same tattoo. She is then revealed to have the same tattoo on her, implying that Staple was indeed a part of a secret society tasked with suppressing the rise of superhumans and other such beings currently oblivious of their powers, achieving their goal either by psychological suppression, as shown in the film’s far more superior bits early on, or by physical suppression, a means they had to consort to in the final bits of the film. The same is vocally confirmed by Staple when she walks up to a dying Elijah, telling him that he could find solace in his death knowing all his theories about the existence of superpowered beings were correct, and that the organisation she was a part of could simply not allow that to be revealed, having maintained social ‘balance’ and ‘order’ for thousands of years, remarking there could not be “gods amongst us”. In another twist, Staple finds the tables turned on her when she learns that she’d been duped by meticulous planning from Mr. Glass himself. The entire charade was orchestrated by Glass as a suicide mission, as a showcase to the world, when the latter coded the computers and cameras of the control room of the psychiatric facility to record, download and transmit the sequence of events that transpired that day, the very cameras Staple had installed at more than hundred locations as a security measure against Elijah, revealing Mr. Glass to be a step ahead of her from the beginning. The footage is received by Mrs. Price, Elijah’s mother, who then circulates it with Joseph and Casey at 30th Street Station, the same station where Dunn tested out his powers on people all those years ago. Holding hands with them, she exclaims it as the beginning of a universe. 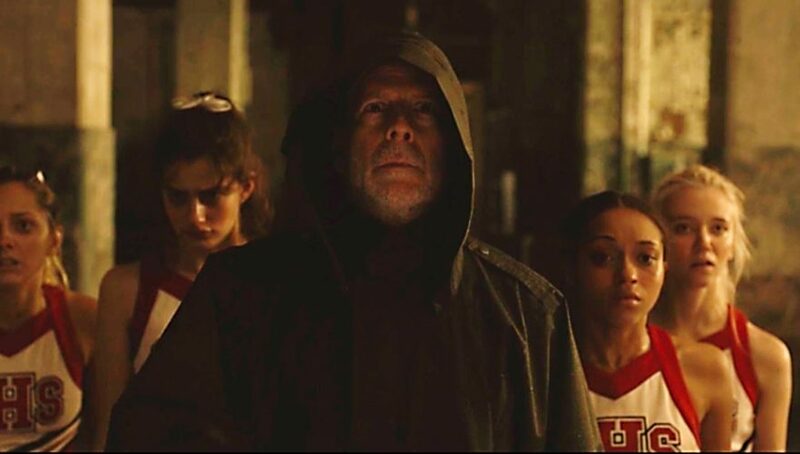 The doings of Staple’s organisation come undone as Mr. Glass succeeds in his quest and the world begins to come to terms with a new reality that has theirs turned upside down. One of the film’s most definite standouts, expressly propagated in the trailers and previews as well, is the combined psychiatric session that Mr. Glass, David and Kevin (The Horde) have with Dr. Ellie Staple. Apart from being remarkably well written to the point of making you as an audience question the existence of superhumans in Shyamalan’s shared universe, as you find yourself recollecting and throwing logics at Staple’s rationalising arguments, it is also visually stunning and meticulously shot. The colour palette here seems especially tailored for a cover/poster photographic shot, is easy on the eyes with remarkable graphic contrast with the colours of the inmates’ uniform colours, and in sync with Staple’s coat colour, and visually pleasing to the extent you wouldn’t want the scene to end. 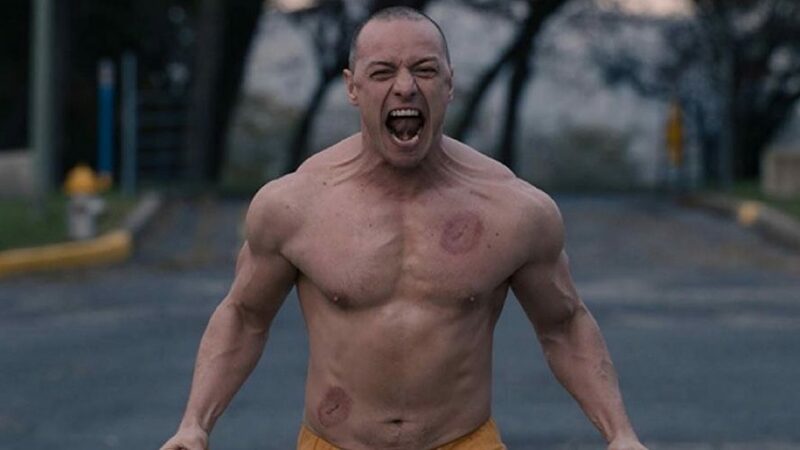 Of course, if you are a fan of the trilogy or the universe Shyamalan establishes, there is always the added pleasure of watching the three protagonists: Mr. Glass, The Overseer and The Horde, assemble on screen for the first time, their exchanges and dialogues, especially those of James McAvoy as Patricia, being scene stealers. The conversations within this scene are targeted solely at breaking the spirit of our protagonists, making them disregard their belief in their powers, dismissing them as mere chances or rare occurrences with scientific, logical explanations. David’s enhanced perception of a person’s malevolent deeds and superhuman strength, Elijah’s heightened intelligence, Kevin’s climbing walls or mildly abrasive vertical surfaces, bending the steel bars and sustaining shotgun wounds: all tasks seemingly impossible to be accomplished by normal humans are discounted by Dr. Staple as chance encounters with very compelling arguments. Even Joseph has his psyche deconstructed in a separate scene to the point of being astounded, wherein it is suggested by Staple that he continued believing in his father being a superhero because he needed him to be one following the death of his mother, Audrey. The trio too seem visibly moved and affected by the compelling arguments, with David clearly losing hope. The antithesis of this argument used by Mr. Glass to convince the beast to come out and much later, David to knock down the metal door of his room to break free is beautiful too, when the former confides in Patricia that science and logic explaining their related superhuman occurrences doesn’t berate the truth of their realities. 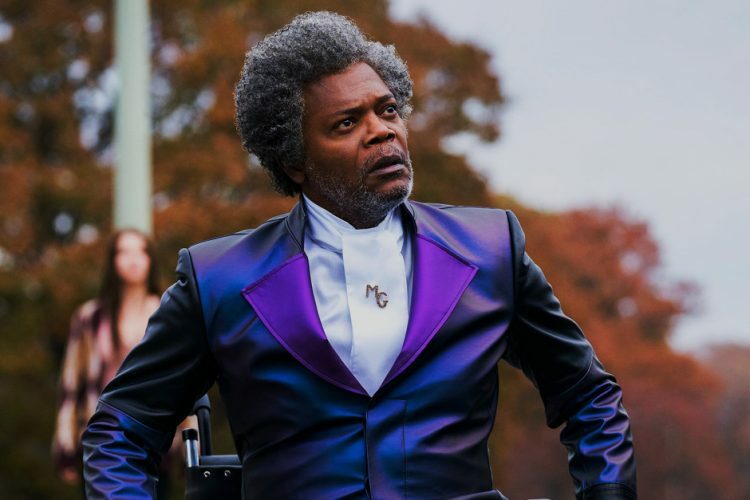 Mr. Glass surely managed to raise some eyebrows in one of the film’s more heartening exchanges during the final bits. Elijah had earlier predicted the finale to be like a showdown of a ‘limited run’, the ultimate good vs. evil battle, the hero and villain fighting it out for the world to see. However, as we see his plan fail initially, a fatally wounded Mr. Glass corrects his mother when she tells him he misidentified the situation, telling her that it was an origin story all along. 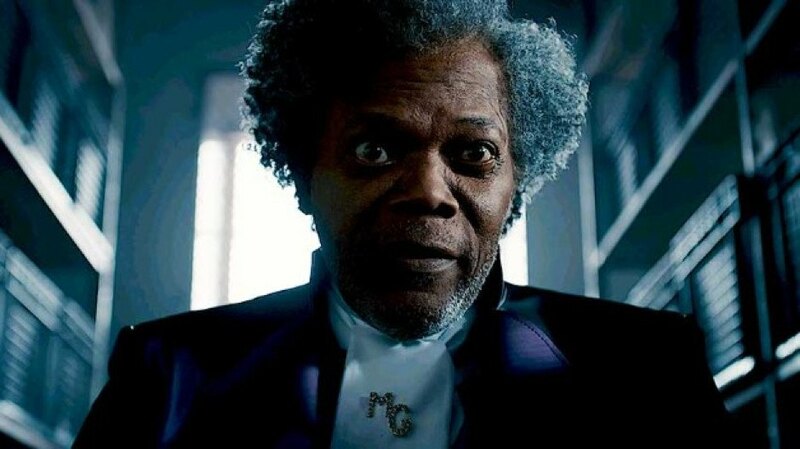 This makes a lot more sense when the final extent of Mr. Glass’ actual plan is revealed, as his recordings from inside the facility cameras are circulated in the outside world. There is little to no evidence of knowing if Mr. Glass had put his plan into action knowing of Staple’s anti-superhero illuminati, in which case it would have been a direct assault at the organisation, or not, in which case his plan would have worked regardless. However, as his plan is realised, Mr. Glass’ story arc comes full circle as he dies, repeating what he told Dunn in ‘Unnbreakable’ to his mother, that he wasn’t a mistake, and his life and struggle had found meaning through this. He was now responsible for the discovery of two other superhumans and revealing to the world their identities, including the possibility of several new ones among the world. The current beliefs of the world and society shaped and kept in check by Dr. Staples’ organisation are challenged and shattered, marking the emergence of a new world order; one that does not propagate disbelief towards beings of higher power, one that is also hopeful of the times to come. One of the deeply inherent things superhero movies and comics ought to do, in my humble opinion, is making us believe. Not of their existence, but belief that beings of superior power had humble beginnings, that they fought great odds, that despite all their powers, the most heroic acts were those of simple kindness, and a force for good could be found within any everyday citizen, calling to the child like belief in all of us that there resided a superhero in each one of us. On the contrary, this is what most superhero films today fail to do, providing only surface level entertainment at best. The one thing that I felt Shyamalan’s trilogy got right, more specifically through the parts with David Dunn, wherein he discovers his ‘powers’ and after a long period of internal struggle, embraces them too, is tending to the right ideas about superheroism in general. 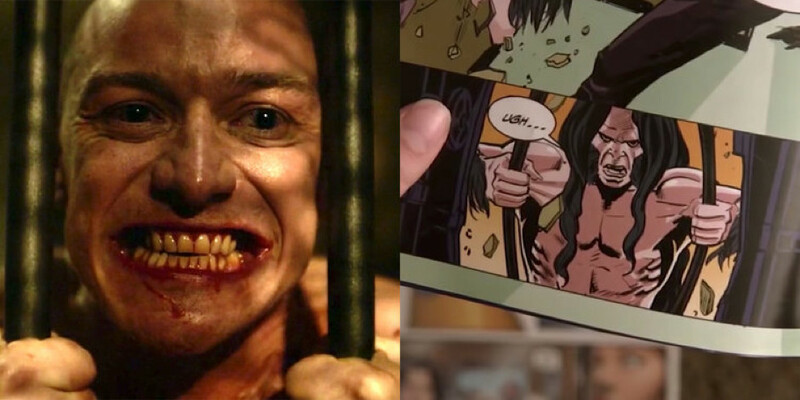 That Dunn, Crumb and Glass are completely original characters and products of anything but a fertile imagination, and bereft of a comic book legacy, I believe, gave Shyamalan a degree of freedom to model his characters in almost absolute terms. I would also not be wrong in considering the entire trilogy of films as magnified versions of the three acts of any modern superhero film today. Come to think of it, ‘Unbreakable’ is like the introduction or the first act, the discovery of the hero’s powers and his eventual acceptance of them, while a nemesis is born. ‘Split’ would be the second act, the setting up of the final conflict, and the introduction of a physically equal supervillain for our superhero, the nemesis being the mental equal. In that, ‘Glass’ would be the finale, the showdown, as Mr. Glass terms it. If only for the final twist in the tale, the conclusion is saved from being a sad one, and the entire trilogy then becomes an origin story, as explained previously. I have no qualms in admitting that what Shyamalan has delivered is a mildly flawed end product, but hugely entertaining for almost its entire runtime, its fair share of bizarre bits and gleeful, unapologetic absurdities withstanding. Considering this was an M. Night Shyamalan film, I expected a fair share of those. 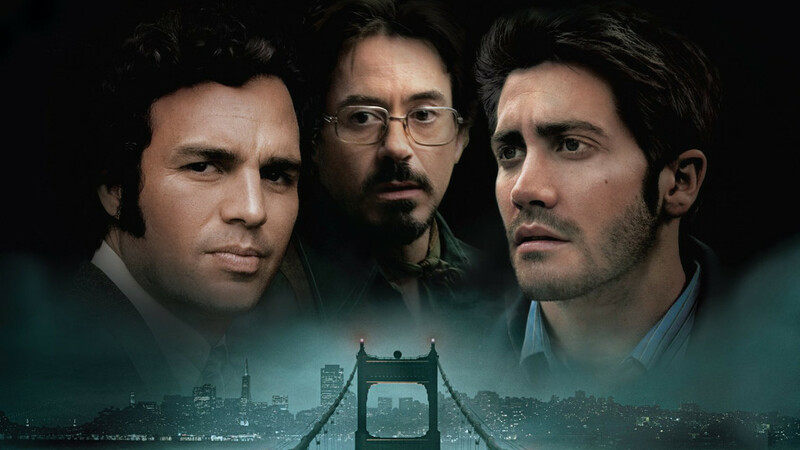 This is also, admittedly the weakest film in the trilogy, missing out on the subtle writing of ‘Unbreakable’ and the unpredictability of ‘Split’, further weighed down by a climax that only partly succeeds in delivering. However, I am, for the most part, vastly impressed with the sheer originality of Shyamalan’s vision and the scope of it. 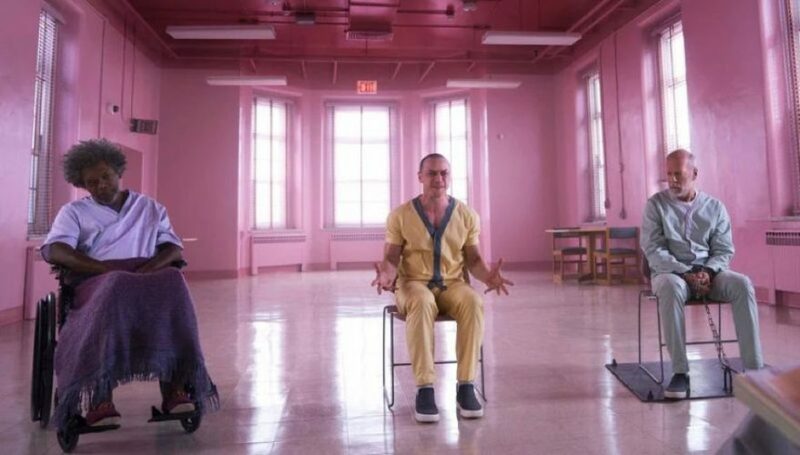 ‘Glass’ is a reultant of that vision and undying passion, a very polished product since even his harshest critics would have a hard time denying the attention to detail, and for that, Shyamalan has my respect. 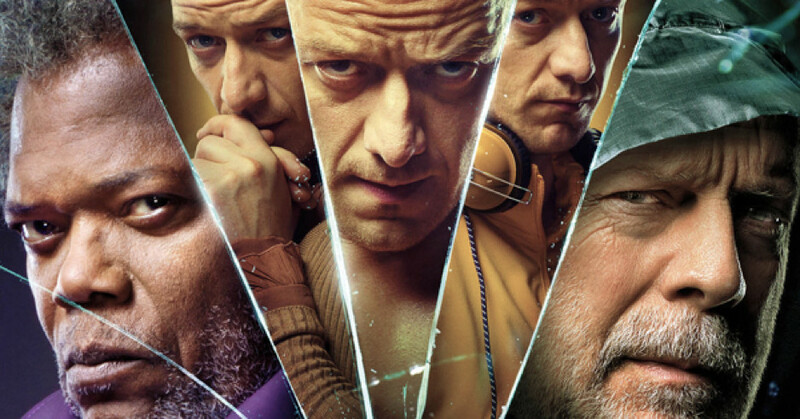 Buoyed by its performances, especially McAvoy, dominating the screen with his sheer physicality and the intensity of his act, and occasionally smart writing, ‘Glass’ might not be all that you hoped for, but is a suitable conclusion to an unexpected trilogy.